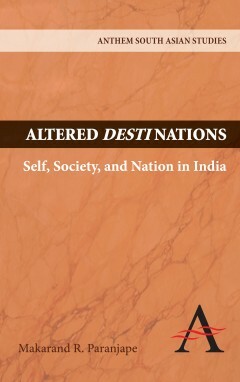 ‘Altered Destinations’ addresses the complex interrelations of state, nation and identity in India through the medium of culture, and compellingly reframes the debate in the context of the Gandhian concept of swaraj. ‘Altered Destinations’ addresses the complex interrelations of state, nation and identity in India through the medium of culture, and compellingly reframes the debate in the context of the Gandhian concept of swaraj. Engaging with Gandhi’s classic text ‘Hind Swaraj’, which envisioned an entirely new form of identity and governance in India in opposition with its colonial past, Paranjape extends the discussion by exlporing how ideas of autonomy, selfhood, and cultural independence have been expressed, depicted and studied. A critic, poet, and novelist with over thirty books, a hundred and twenty-five academic papers, and hundreds of notes, book reviews, and journalistic essays to his credit, Makarand R. Paranjape is currently Professor of English at Jawaharlal Nehru University, New Delhi.